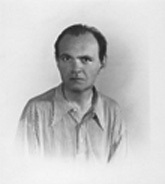 Marcel Tyberg (18931944) was an accomplished composer, conductor and pianist. Notable conductors such as Rafael Kubelik and Rodolfo Lipizer premiered his pieces at venues in Prague and Italy. His eclectic compositional style embraced popular dance music as well as enormous symphonies on the scale of Mahler. Unfortunately, due to the conditions of World War II, Tyberg, only 1/16th Jewish, was sent to his death and his musical career was prematurely extinguished. For this reason, many basic details about his life are still unknown. In the Summer of 2005, Marcel Tyberg's oeuvre, once remembered only in the hearts and minds of friends, emerged from Enrico Mihich's Buffalo basement to be reintroduced to the musical community. Thus far, the Foundation for Jewish Philanthropies, in conjunction with Dr. Mihich and JoAnn Falletta of the Buffalo Symphony Orchestra, has funded a performance of three lieder, two piano sonatas, and the copying of his Trio, Sextet and Third Symphony. These efforts place Marcel Tyberg among the most recently rediscovered composers whose lives and careers were cut short by World War II. Marcel Tyberg (Jr.) was born in Vienna, Austria on January 27, 1893. His father, Marcell Tyberg (Sr.), was a prominent violinist, and his mother, Wanda Paltinger Tybergova, was a pianist and colleague of Arthur Schnabel in the Leschetizky school. Because Marcell was a wellknown violinist in Vienna, Jan Kubelik, the famous violinist and musical patriarch, and his family became close to the Tybergs. Over the years, Marcel became close to the Kubelik daughters and even composed lieder dedicated to them. Although twenty years stood between Marcel and Rafael, theirs was a friendship that would last to Tyberg's death and beyond. As of yet, little is known of Marcel's education and musical training. It is assumed not only that Marcel received a musical education from his parents, but he also had formal training in the art of orchestration, counterpoint and harmony, aas evidenced by his works. His residence in Vienna and future friendship with violinist, conductor, and composition student Rodolfo Lipizner (18951974) at the Vienna Musical Academy suggests that Tyberg was a colleague at the Academy. It was during this time of academic growth that Marcel composed his First Piano Sonata (1920) and First Symphony (1924). In 1927, the Abbazia Symphony Orchestra appointed Rodolfo as permanent conductor. Marcel(l) Tyberg (Sr and Jr) and Jan Kubelik were later listed as two of the young conductor's preferred soloists; perhaps in the case of Marcell, a section member. This appointment brought the Tybergs to Abbazia, a resort town between Italy and Yugoslavia on the Adriatic Sea. Later that year, on November 27, Marcell Tyberg died in Fiume, or modern day Rijeka, a major sea port near Abbazia.. Upon the founding of the Gorizia Symphony Orchestra in 1930, Lipizer not only continued to invite Marcel Tyberg and Jan Kubelik to perform as soloists, but also handed the baton of the Abbazia Symphony Orchestra over to Marcel. After the death of his father, Marcel and his mother remained in their villa on the Adriatic Sea. As an article by friend Marion Schiffler explains, for the remainder of his life Tyberg hung on his mother with the greatest love and reverence. She was described by all as an unusually generous gentle woman. In Abbazia, with the help of his mother's love and impeccable copying abilities, Marcel completed his Scherzo and Finale for Schubert's Unfinished Symphony (1928), Second Symphony (1931), Sextet (1932), First Mass (1934), Second Piano Sonata (1935), Trio (1936), Second Mass (1941) and Third Symphony (1943). Schiffler praised his improvisations and compositions as simply perfect. His unique improvisatory ensemble of piano and voice evoked the sound of a commanding solo orchestra. When begged to publish his compositions he would always demur. According to Schiffler, he had refused several offers. He did not thirst for fame nor did he crave earthly possessions. Satisfied with the little he owned, he lived happily unknown. However, he was not entirely secluded from the outside world. As mentioned above, he sporadically performed as a soloist with the Gorizia Symphony Orchestra, performed his dance compositions with a small orchestra, conducted his Masses and Chamber works with the Abbazia Symphony Orchestra, and even called on his childhood friend Rafael Kubelik to premiere his Second Symphony with the Czech Philharmonic at some point during the 1930's. On July 25, 1943, Tyberg revealed his unrestrained piety in a performance of his Te Deum used to consecrate the enlarged Abbazian church. This historic date for Italy, on which the Italian Grand Council captured and dismissed Benito Mussolini as premier of Italy, occurred only weeks before Italy's surrender to the Allies, an act that would seal the fate of Marcel and his mother. In anticipation of the Italian surrender, the Germans reorganized their military command in southeast Europe early in the summer of 1943 so that it would be ready to take over the Italianheld areas and defend them in the event of a Western Allied invasion. After moving many troops into what is now Croatia, on September 7, 1943, Hitler issued Order No. 26, Improvement in the Defensive Power of Croatia. Its main objective was to bring about closer collaboration between the German and Croatian armed forces. In addition, Berlin assigned each German corps and divisional command a special Croatian delegate for civil affairs, whose German influence was necessary for the protection of military interests. Therefore, the Croatian government enforced all Nazi laws pertaining to Jews in the Croatian and Germancontrolled territories. One such Germancontrolled territory was Rijeka/Abbazia. Eleven days later, Marcel completed his final work, the Third Symphony. Although Article 6 of the Law Decree on Racial Belonging of April 30,1941, declared some selected Jews honorary Aryans and exempt from Croatian antiJewish measures, in the summer of 1943, Marcel’s mother went to the local German officials and registered that her greatgrandfather was a Jew, thus making her oneeighth Jewish and Marcel onesixteenth Jewish. A few months after this fateful decision that would alter Marcel's life, his mother died of natural causes. For Tyberg, wrote Schiffler, the death of his mother was a wound which never closed. He now gave those who encountered him the impression of a man who is not far from the end of his journey on earth and who, unknown perhaps to himself and us, has already raised his glance to that great unknowable which involuntarily frightens us. On the back of the Third Symphony's manuscript, Tyberg stated that he completed the work with tremendous difficulty and grief. Because he was creatively and emotionally exhausted, this work marked his compositional mortality. Shuddering and shivering, we listened to the uninterrupted flow of sounds that ranged from cheerful pastoral tunes to the greatest Beethovenlike outbursts. His face shone transfigured and happily smiling out of the dimness. There was a childlike joy and tenderness in him that is only seen in great souls shortly before their return home. The tears ran down my cheeks. We all had the feeling that he will not be with us much longer. Perhaps he felt it himself, too; he hardly knew any more where he was and who we were. It seemed as if he had to fulfill some final task—to play for his friends—and then to part and never return. As he ended, we silently embraced the completely exhausted artist and only hesitantly did words of thanks pass across our lips. It was as if our thanks could wipe out this, his last gift. We shook his hand, one after the other. I was not able to utter a word. He, however, smiled, friendly and ingenuous, as if he wanted once more to let us take part in his unknown greatness. In that dark old church he stood like a saint in our midst, a strange ray of light— the first moonlight—fell at this moment through the high arched window onto his quiet face. Several months passed before rumors began to circulate of Tyberg's suicide. They were, it seems, erroneous. Only recently has it been discovered that he was indeed sent to the extermination camps San Sabba and Auschwitz. His recorded date of death is December 31, 1944. In 1945, following the end of the War and the occupation of Fiume by the Communist Yugoslavians, Dr. Milan Mihich and his family fled Fiume to Milan. With him, he took only precious family possessions, including the entirety of Tyberg's catalogue. In 1948, Dr. Mihich died and the music and related responsibilities were left to his son, and Tyberg's former harmony student, Enrico Mihich, then a medical student at the University of Milan. Dr. Enrico Mihich later came to Buffalo and became a member of the Roswell Park Cancer Institute. Dr. Mihich to this day keeps Marcel Tyberg's music safely secured in his home in Buffalo. After nearly fifty years of ineffective attempts to have Buffalo Philharmonic conductors premiere the treasure trove of works, as well as an aborted collaboration with Rafael Kubelik in the late 1980's, Mihich finally found the partner he sought in conductor JoAnn Falletta. In order to obtain the funds required to print the rough, hand-written manuscripts for performance, Dr. Mihich and the Foundation for Jewish Philanthropies in Buffalo, New York, organized the Tyberg Musical Legacy fund.